All 19 Fingerhut coupons have been verified and tested today! One of the most unique things about Fingerhut is that customers have the option to finance most of their purchases over a period of several months, for a reasonable fee. When you’re checking out, you can simply choose to apply for a credit line with Fingerhut. If you’re approved, you can start shopping on credit immediately. There are no annual fees or membership fees for applying for credit at Fingerhut. You will also have the option to split purchases into monthly payments, which may make it easier to make larger purchases of items like televisions, cell phones, and computers. Want to browse a printed catalog of the top items available at Fingerhut? If you prefer to shop via print, Fingerhut still offers a complete catalog of their top-selling items. You’ll have to enter your name and address. Then, press “submit” to send your request to Fingerhut. You’ll get a Fingerhut printed catalog delivered straight to your door within 2 weeks of your request. You’re limited to ordering one catalog per household, every 2 months. You don’t need a Fingerhut coupon to save big. All you have to do is visit the Fingerhut clearance section, and browse the latest deals. To get started, just click “Shop by Department” at Fingerhut.com, then select the red “Clearance” link. You’ll be able to view all clearance items, and save anywhere from 10-50% or more on toys, bedding, clothing, gadgets, shoes and more. When you shop at Fingerhut, you’ll often see certain items that are eligible for special offers, such as a free bonus when you purchase an item, or free shipping. To recognize these items, just look for a small, red “tag” icon underneath the price. The text next to this tag will provide you with details about how you can redeem the promotion, and save! If you’re a new customer at Fingerhut, you can take $25 off your first order of $100 or more when you make your first order with an approved Fingerhut Advantage Credit Account. If you’re interested, apply today, and see how much you can save by purchasing home goods, electronics and more on credit at Fingerhut. Fingerhut first began as a mail-order catalog. But today, it’s one of the largest online shopping retailers in the country. Whether you’re interested in home goods, tech, and gadgets, or anything else Fingerhut has to offer, you can get a Fingerhut coupon from CNN Coupons and save. Browse this page now, and find a great deal today. Found a Fingerhut code you’d like to use? Not sure how to use it? Here’s what you’ll need to do. Using a Fingerhut promo code is easy. So find a valid code on CNN Coupons now, and never pay full price at this retailer again. Drop the box off at any USPS location. The cost of shipping will be deducted from your refund, based on the weight of your item. There are some exceptions to the standards Fingerhut returns policy. These include some mobile devices, media such as video games and DVDs, swimwear, mattresses, and tires. For more information, visit Fingerhut.com, scroll to the bottom of the page, and select “Returns”. 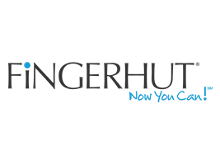 If you’re interested in offers like an exclusive, email-only Fingerhut promo code and announcements about sales and new product launches, you’ll want to make sure you join the Fingerhut email list. To get started, you’ll need to sign up for a Fingerhut account. Here’s how to opt-in to email promotions and updates. 5. Make sure the box for email offers and promotions is selected. It will turn blue when it’s selected. Through the newsletter, you’ll often get notifications about new Fingerhut coupon code offers, announcements about sales, and other handy information that can help you save on your everyday necessities. Whenever you order anything from Fingerhut, you’re automatically entered in the Fingerhut SweepsZone sweepstakes. Past prizes have included cash giveaways of $5,000-$20,000, as well as a Nintendo Switch and Mario Kart 8 Deluxe Bundle. You don’t have to make a purchase to enter, though. Just head to fingerhutsweepszone.com, select the sweepstakes you’d like to enter, and then enter your email address. Fill out the registration form, and you’re good to go. If you win, you’ll be notified by phone, email, or mail, and further instructions will be given to you about how you can claim your prize.